Using the expertise gleaned from more than 60 years of manufacturing experience, our steel and aluminium walk-in poultry cages are made from the same high specification materials as their fruit and vegetable protecting counterparts, giving you and your brood the reassurance of a 10 year structural guarantee whilst keeping your chickens safe in style! 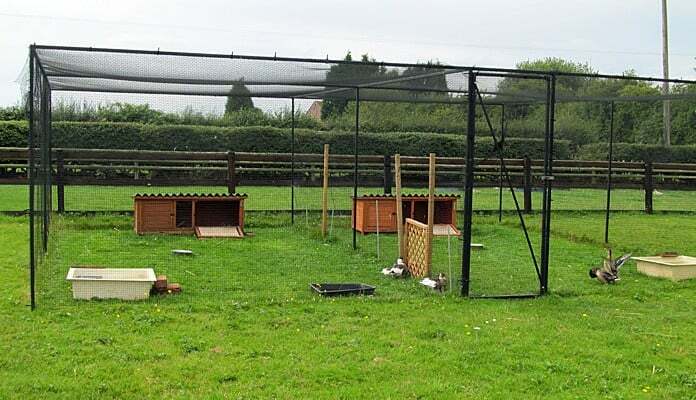 "Having known of Harrod for some time, and their reliable products, we needed something to protect our new chickens, having lost the last ones to Mr Fox. 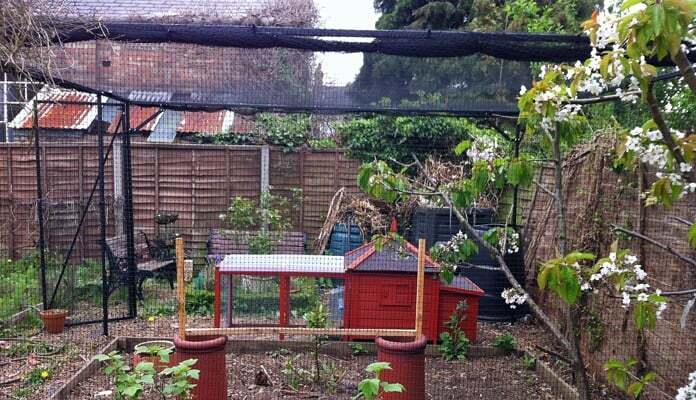 Hence we purchased a “fruit cage”, but upgraded it with wire netting around the lower sides, and a stronger overall side netting material. With plenty of space inside for their run, our own chairs and cover for the feed bowl – this was an ideal solution, and good value as well. The door allows easy access for us, and for them to come out, when we are in the garden. Happy customers and chickens!" 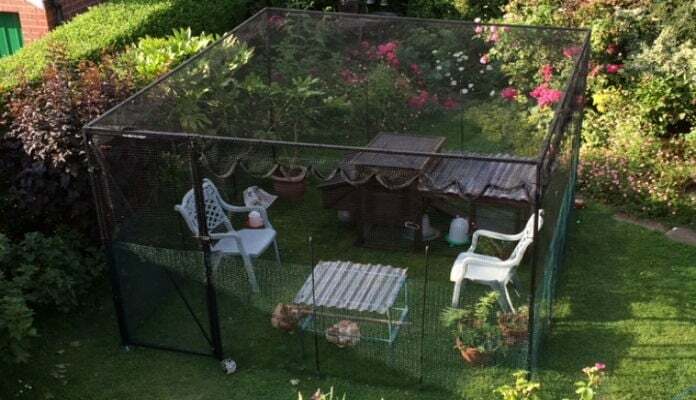 "Please see attached photograph of the poultry cage in my garden. 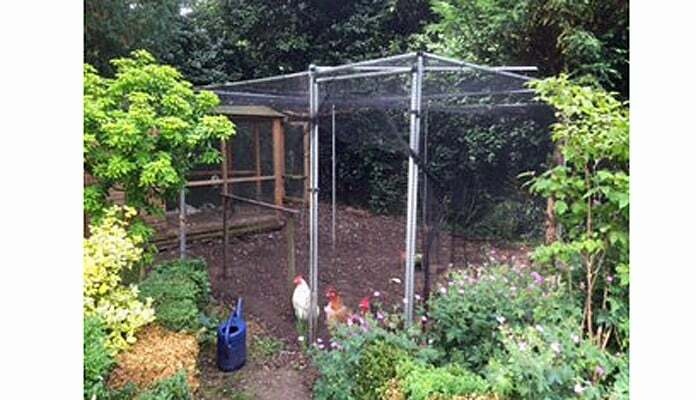 I am delighted with it as the hens have plenty of room to scratch about and, as it is netted over the top there is no need to remove their flight feathers. As it is a 'walk in cage I can manage them in comfort. They are no longer able to wreck my entire garden and quite happy though confined." 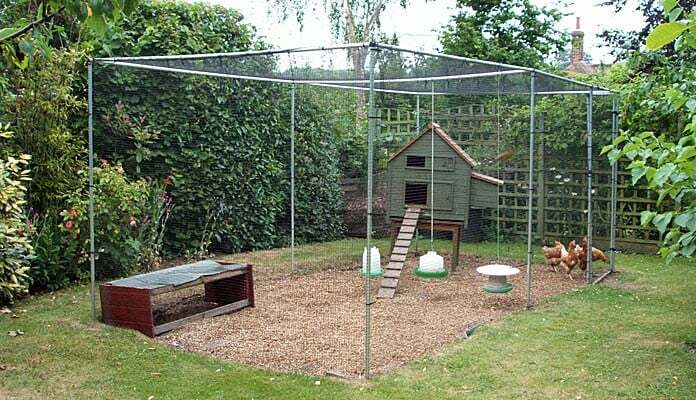 "Cage was fairly straightforward to assemble. 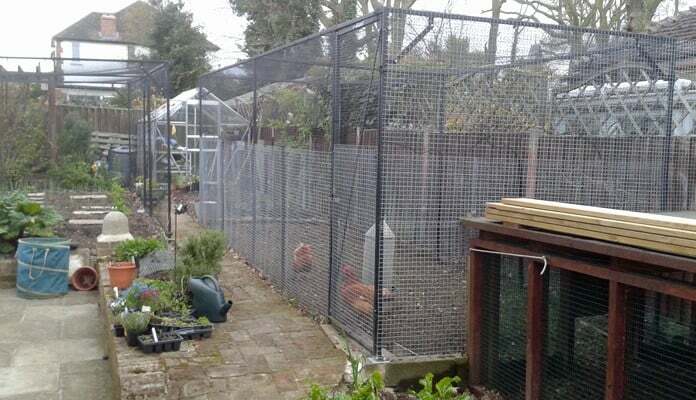 We have used chicken wire buried around the outside and slabs to discourage foxes. The girls are happy in here when they cannot be in the garden. 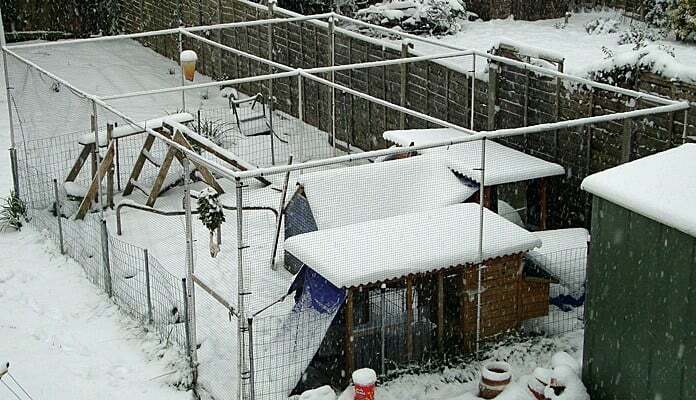 They are wedged between the veg patch, raspberries and a shed so very sheltered position but the cage has withstood the high winds, rain and snow this year." 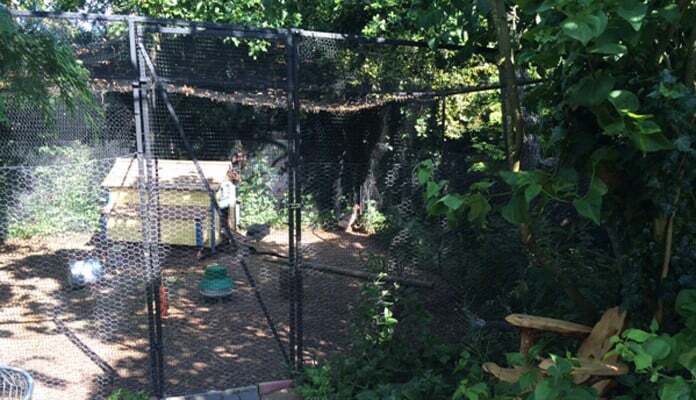 "We originally purchased the cage after we caught Mr Fox in the garden while the girls were free ranging. The girls are now safe and we do not have to worry about them. Even though the cage is large it does not look out of place." 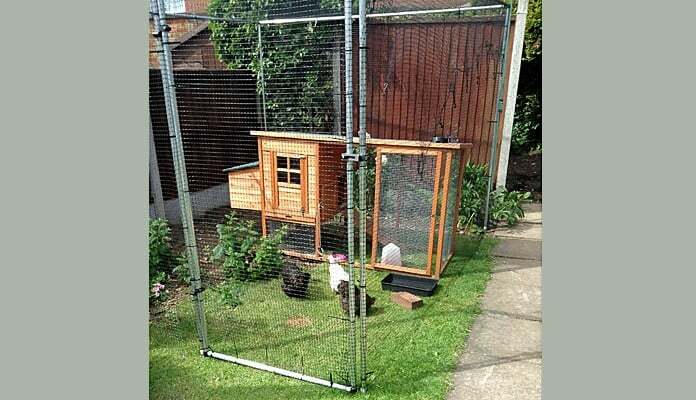 "I am absolutely delighted with this product and my hens love it." "It was simple to erect. Easy access via the door and excellent head room. I like the visual 'openness' of the netting, as opposed to a metal fencing 'cage' effect. 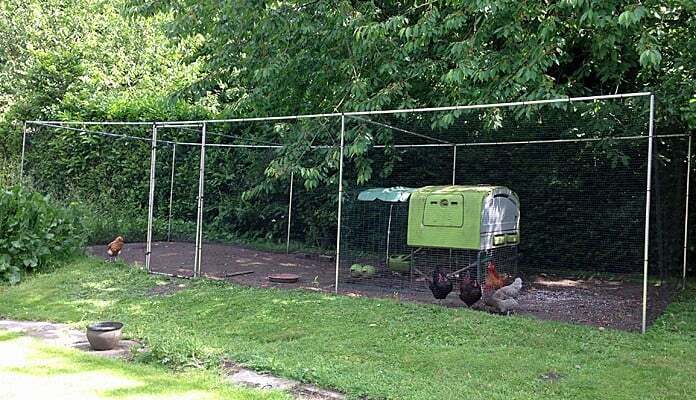 In a relatively modest area, it has provided an excellent solution to the control and security of our hens. They are protected from outside predators and in return helps us with the protection of our small veggie patch and nearby plants by keeping them away. 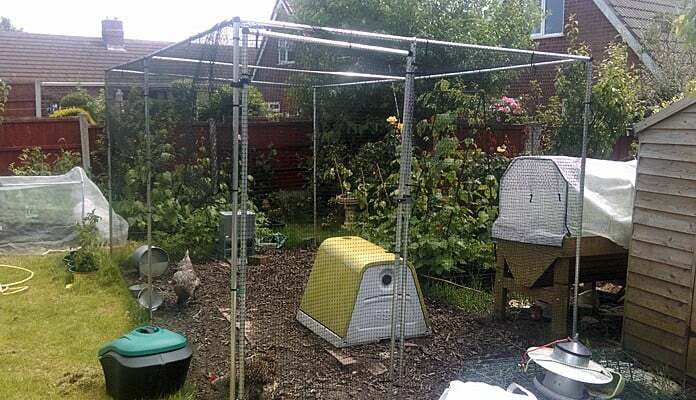 All in all the cage has made excellent use of the area and has impressed us and a number of our friends with its simplicity and ease of use." "6 Happy Harrod's Chicks. Happy, safe and secure girls - to the annoyance of Ms Fox! And I know the quality of my cage means it endures the gales this site is prone to. 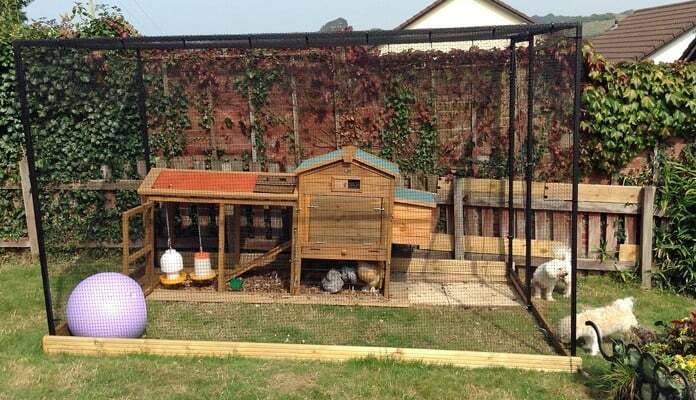 I've now had Harrod's steel poultry cage, superior raised beds, and fruit cage - all brilliant . Love Harrod's products!" 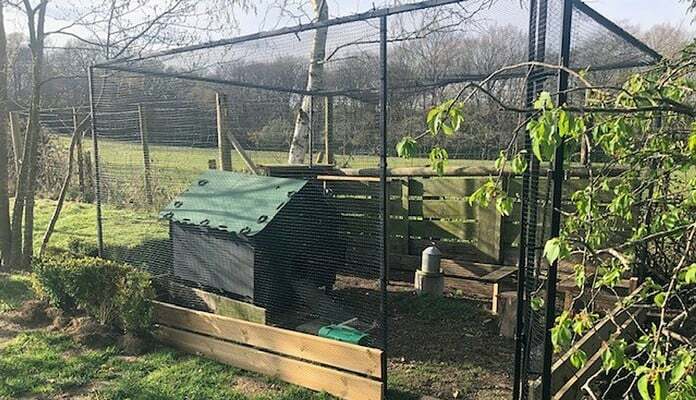 "I'm so glad we bought our cage, we were having problems with our hens escaping before but this has been completely resolved thanks to the purchase of the cage." 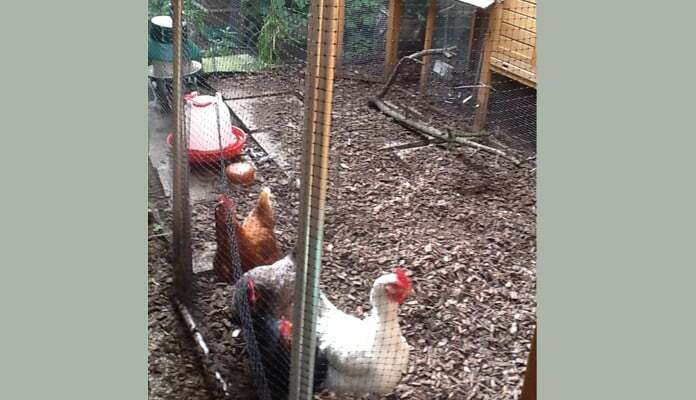 "Before getting the cage we had fencing but the chickens kept getting over it and eating plants, fruit etc…Now getting to them is a dream and putting them away at night is so easy. They used to have a run that needed locking as well as closing the coop door and in the wet it was a pain. This cage is highly recommend." 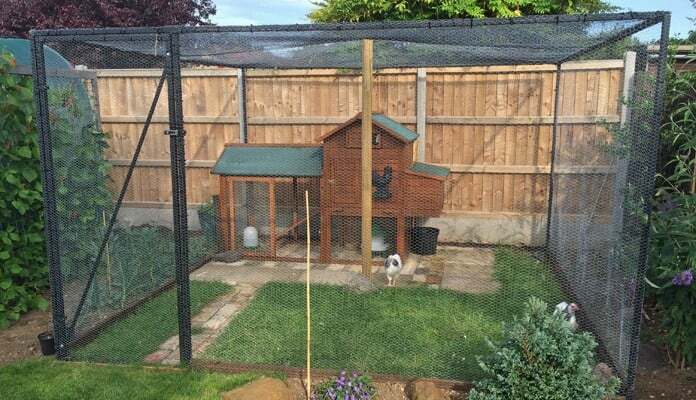 "I have been so pleased with the cage for my bantams. It keeps them happy and secure and fits into my garden in an unobstructive way. It has been very good value for money." 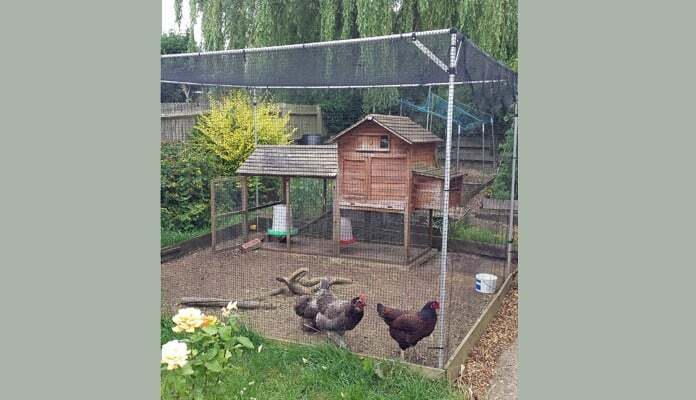 "I have used several Harrod products in the past and this latest chicken run is of the usual standard - easy to use, looks fine and is good value for money."